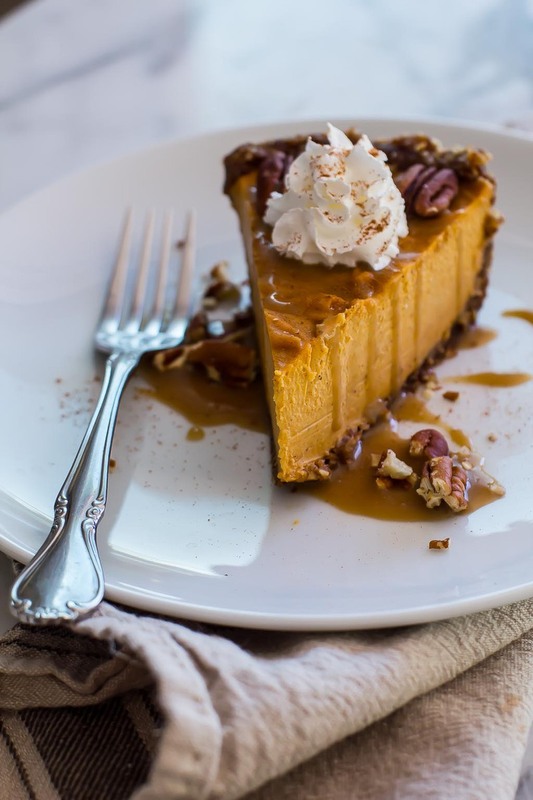 For the holidays, it’s always smart to have a healthy dessert option up your sleeve! 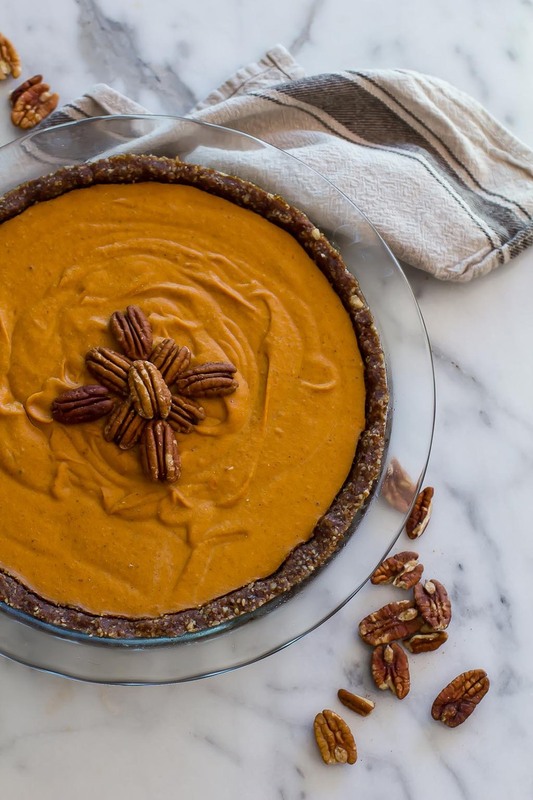 Bring this Sweet Potato Pecan pie to your next gathering and be the hero. 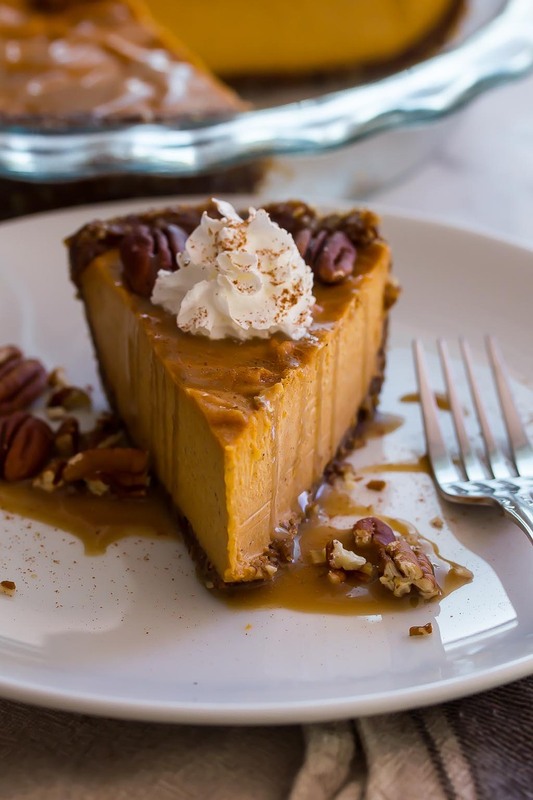 It’s mostly raw, with only the sweet potatoes being roasted to create a naturally sweet and creamy texture. 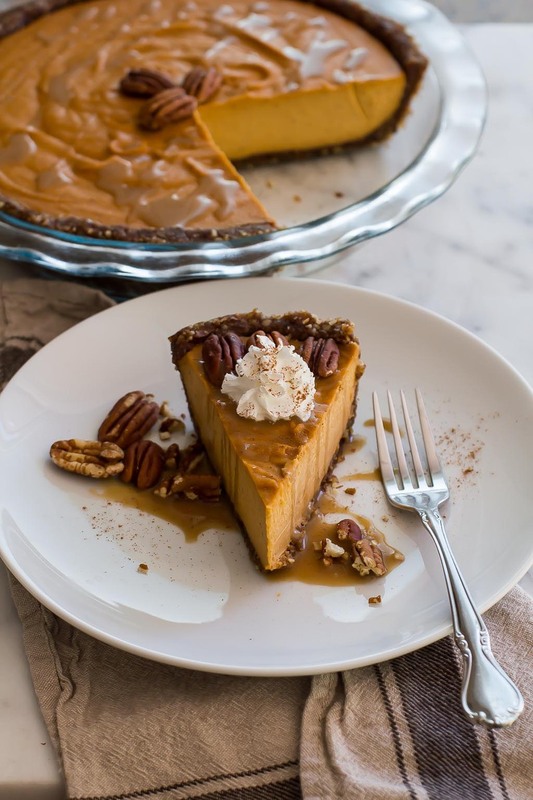 The gluten free crust is made from dates and raw pecans, and the filling has the texture of a rich cheesecake. Put the pecans, cinnamon and salt in a food processor and pulse until the nuts are pretty broken up. Drain the dates and add them whole to the food processor and pulse some more until the mixture begins to stick together, and the dates are fully incorporated. Remove from the food processor and press into the bottom of a 9" pie pan. Press down on the mixture well to make sure that the crust is firm. Blend all the filling ingredients together in a blender until smooth and pour into the prepared crust. 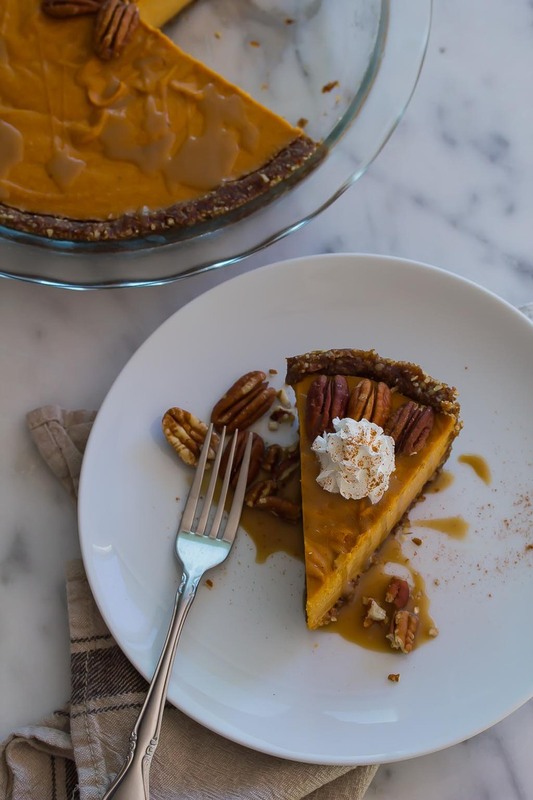 Refrigerate the pie overnight and serve topped with coconut whipped cream if desired. Bring all the caramel ingredients to a boil in a small sauce pan. Turn down the heat and simmer for 20 minutes or until reduced by half.